WASHINGTON, D.C., MARCH 1, 2018 — A group of 28 leading U.S. tour operators and organizations specializing in educational travel and exchanges with Cuba is calling on the U.S. State Department to re-staff its Embassy in Havana and change Cuba’s travel advisory from a Level 3 (“reconsider travel”) to at least a less intimidating Level 2 (“exercise increased caution”). The request comes on the eve of the State Department’s decision about whether or not to return the U.S. diplomats to the Embassy, expected to be announced on March 4. Beginning in late September 2017, after reports that 24 U.S. Embassy employees in Havana had suffered unexplained health ailments, the Trump Administration withdrew 60 percent of its Embassy staff from Havana, issued a Travel Warning urging Americans not travel to Cuba, and expelled 15 diplomats from Cuba’s Embassy in Washington, D.C. In January 2018, the State Department issued a new global travel advisory system, which ranks Cuba as Level 3. A survey of 42 tour operators and educational travel organizations conducted in late January 2018 by the Center for Responsible Travel (CREST) found that not one of their travelers reported suffering from health issues similar to those of the Embassy employees. Collectively, those surveyed sent more than 42,000 U.S. travelers to Cuba in 2016 and 2017. In addition, there have been no confirmed cases of similar illness among the estimated 700,000 private U.S. citizens who visited the island nation in 2017. A lengthy ProPublica article, published February 14, 2018, provides the first detailed chronology of the diplomats’ afflictions and the subsequent official — but, to date, inconclusive — investigations by the United States, Cuba, and Canada, and makes clear that the general public is not threatened. In fact, in January 2018, Cuba was voted the safest place to travel at the International Travel Fair in Madrid. During a meeting on January 12 with State Department officials, a group of American tour operators, travel associations, and Cuba experts were told that a Level 3 rating is automatically triggered by a “drawdown” of U.S. Embassy personnel as a result of the “No Double Standard” policy articulated in the Foreign Affairs Manual. On March 4, the State Department faces a mandatory deadline requiring that, six months after an Embassy drawdown, staff must either be reassigned or sent back to their original post. The draw down in Havana began in early September 2017 as Hurricane Irma hit the island and was increased to 60 percent of staff later in the month, in the wake of media revelations about afflictions to the two dozen U.S. diplomats and a handful of staff in the Canadian Embassy. Canada has launched an investigation but has not downsized its Embassy or issued any travel warning to its citizens. 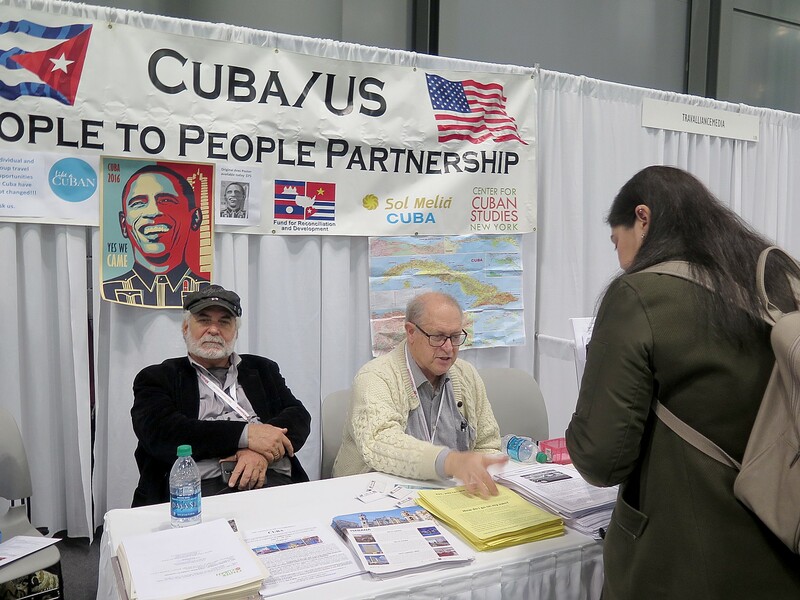 The 28 tour operators and organizations specializing in educational travel to Cuba are calling for the State Department to return more consular officers to the U.S. Embassy in Havana. Ambassador Barbara Stephenson, President of the American Foreign Service Association, the union that represents U.S. foreign-service officers, and some diplomats who were interviewed for the ProPublica article indicated that this is also their wish — to return U.S. diplomats to Cuba. This would, the group hopes, eliminate the trigger that has categorized the country as a Level 3. The group further questions how Cuba can be rated as a Level 3 while countries with known security risks — such as Israel, Egypt, Algeria, Mexico, and Ethiopia — are rated as Level 2. In addition, the State Department advisories for some countries include alerts pertaining to particularly dangerous parts of their countries. Mexico, for instance, while rated Level 2 overall, is given ratings of Levels 3 and 4 (“do not travel”) for certain states. Kendra Guild, Director, Marazul Charters, Inc.
Andrea Holbrook, President and CEO, Holbrook Travel, Inc.
Tor D. Jensen, President, Jensen World Travel, Ltd.
Lee Marona & Aja C. Napolis, President & Administrative Coordinator, Vaya Sojourns, Inc.
Kate Simpson, President, Academic Travel Abroad, Inc. The Center for Responsible Travel (CREST) is a policy-oriented research organization dedicated to increasing the positive global impact of responsible tourism. CREST assists governments, policy makers, tourism businesses, nonprofit organizations, and international agencies with finding solutions to critical issues confronting tourism, the world’s largest service industry. Rivers Fiji’s mission is to enhance visitors’ and indigenous peoples’ appreciation for the culture and environment through socially responsible and environmentally sensitive interaction with the people, landscape and ecosystems that make the Fijian Highlands so distinct and unique. Rivers Fiji, part of the O.A.R.S. Family of Companies, has been selected by the World Travel & Tourism Council (WTTC) as one of 15 finalists for its 2015 Tourism for Tomorrow Awards. Considered the highest accolade for sustainability in the global travel and tourism industry, Rivers Fiji is one of only three companies in the Environment category being considered for the prestigious awards. 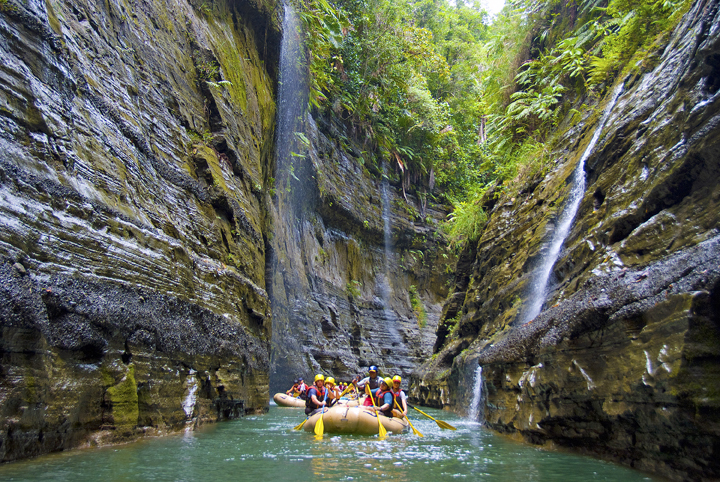 According to the WTTC, Rivers Fiji was selected for “protecting threatened forests and river systems” by running a low-impact commercial rafting operation in the Fijian Highlands of Viti Levu. And though the economic support given to the region is an important aspect of Rivers Fiji’s work—they’ve created jobs and given more than $1 million back to local communities in the last 15 years—it’s the unique conservation model the company helped foster that demonstrates the full extent of their commitment to sustainable tourism. In 1998, Rivers Fiji, with the support of O.A.R.S. president and founder, George Wendt, and a group of local entities including two villages, nine mataqali (land-owning clans), a logging company and a government organization banded together to create the Upper Navua Conservation Area (UNCA). This unlikely public-private partnership included a 25-year land lease that has protected the area’s natural assets from logging, road building or mining in the fragile river corridor. Instead of quick money from resource extraction, the arrangement created long-term sustainability through tourism and one-day rafting trips year-round on the Upper Navua River. Rivers Fiji also pioneered the establishment of Fiji’s first Ramsar site in 2006, which recognizes the UNCA as a wetland of international importance. Beyond these efforts, the company has developed outreach programs in partnership with local NGO Nature Fiji to provide educational river trips that enable local communities to experience first-hand the economic, environmental, and cultural importance of where they live. By supporting both community development and environmental conservation, Rivers Fiji programs strive to set the bar for ecotourism. The 2015 Tourism for Tomorrow winners will be announced during the 15th WTTC Global Summit in Madrid, Spain in April 2015. Rivers Fiji’s mission is to enhance visitors’ and indigenous peoples’ awareness of, and appreciation for the culture and environment by providing activities that promote conservation and preservation through socially responsible and environmentally sensitive interaction with the people, landscape and ecosystems that make the Fijian Highlands so distinct and unique. To learn more, visit www.riversfiji.com and watch River of Eden, a short film by National Geographic Filmmaker & Freshwater Hero, Pete McBride at www.riverofeden.com. O.A.R.S. has been providing whitewater rafting and nature-based vacations since 1969. Over the decades the company has set the standard in first-class rafting, sea kayaking and multi-sport adventures, with destinations and unparalleled experiences on over 35 rivers and coastlines around the world. In 2013 Outside, America’s leading multimedia active-lifestyle brand, named O.A.R.S. one of the top two outfitters in the world in its annual Active Travel Awards recognition program. For more information on Rivers Fiji and O.A.R.S., trip availability, reservations or a copy of our 2015 Adventures catalog call 209-736-4677 or 800-346-6277, email info@oars.com, or visit: http://www.oars.com/. Food is a natural bridge-builder and point of connection between cultures, says Jim Kane, founder of Culture Xplorers, a travel company whose signature is delving as deeply as possible into other cultures. “In a similar vein, there is a revolution taking place in the way food travel is being interpreted and experienced. The new frontier of food travel is physically active, intellectually engaged, emotionally connected and truly transformative. It leverages the power of food to affect positive social changes and fosters genuine bonds that endure long after the trip ends,” said Kane. Kane recently accepted a two-year appointment to serve on the board of directors of the World Food Travel Association (WFTA). “I am looking forward to the privilege of helping to solidify the Association’s position as the world’s leading authority on culinary tourism,” said Kane. Founded in 2003 by Association Executive Director Erik Wolf, the WFTA’s mission is to grow and professionalize the food and drink tourism industry as the central hub that supports the creation of successful, profitable businesses and the protection and promotion of local culinary cultures world-wide. Culture Xplorers (http://www.culturexplorers.com/), a leader in sustainable travel, offers handcrafted journeys that deepen understanding and foster connection between travelers and local communities around the world. Culture Xplorers trips are created from the ground up, built on three founding pillars: people, traditions and impact. Their travelers meet the people of the places they visit, engaging in the living traditions that make each destination unique, and in doing so, create a lasting, positive impact through tourism. Genuine connections with people and place are formed farm-to-fork and around the table, via participation in local celebrations and through authentic exchange with community leaders and members. For 2014-2015 season information, tours, availability and reservations contact Culture Xplorers at 215-870-3585 or email: info@culturexplorers.com. The Responsible Travel industry is turning its sights on animal welfare. This issue will figure into the keynote address by Dr. Martha Honey, CREST Co-Director, at TBEX North America, which will be held September 11 – 13, 2014, in Cancun, Mexico. Dolphins are socially complex and self-aware creatures, and we agree with World Animal Protection in that these animals “deserve to live a life free from captivity, where they can properly fulfill their social and behavioral needs.” A tank simply cannot provide them with the space, environment, and social freedom they need to thrive as they would in the wild. The tour operator Intrepid Travel, a highly respected leader in responsible travel, has set a guideline that it is best to view wildlife where it belongs, but if a zoo or aquarium is ever visited, a visitor should make sure the facility adheres to the World Association of Zoos and Aquariums’ Code of Ethics before entering. Also, interactions with wild animals should never involve physical contact with people, feeding, or other actions that disturb or alter their natural behavior. These actions often cause extreme distress for the animal and are health risks for both parties. 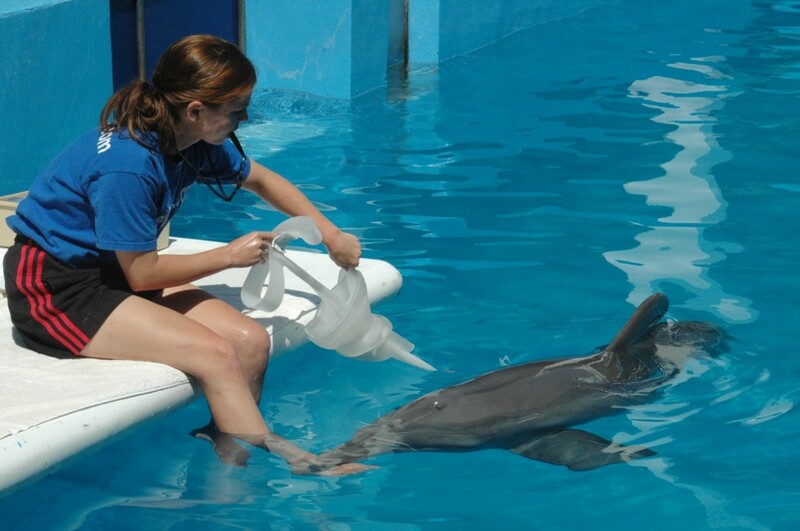 On the issue of captive marine animals, President Mark Spalding says, “We have admirable facilities that rescue and when possible rehabilitate and release marine mammals, sea birds and sea turtles. Some of these allow the public to visit and volunteer. And, many have advanced our knowledge of marine wildlife through research during their recovery. CREST works frequently in close collaboration and partnership with The Ocean Foundation. For more information about CREST, visit www.responsibletravel.org. Connect with CREST on Twitter and Facebook. Ecoventura is now taking bookings for MV Origin’s inaugural cruise Jan. 3, 2016. 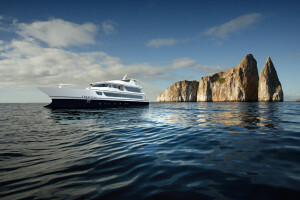 Ecoventura, which operates an environmentally friendly fleet of small expedition yachts in the Galapagos Islands, plans to debut the region’s newest ship in early 2016. Construction of the 20-passenger motor vessel is underway at the shipyard in Guayaquil, Ecuador but Ecoventura has begun taking bookings for MV Origin’s inaugural cruise Jan. 3, 2016. 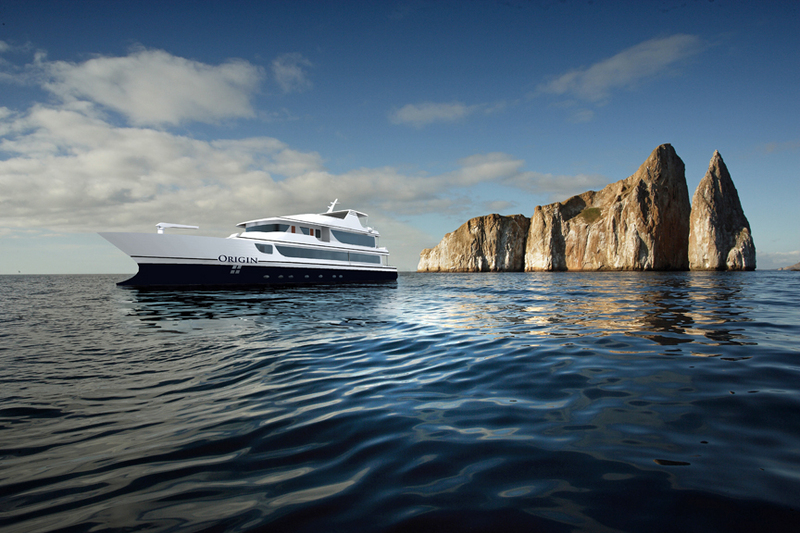 When launched she will be the newest and most comfortable 20-passenger yacht operating in Galapagos. The vessel’s owner, Ecoventura, has more than two decades experience in sustainable tourism. MV Origin, designed for guests with a highly evolved lifestyle, will combine modern sophistication and a high level of comfort and service, with quality guided land excursions in small groups, gastronomical experiences, exciting physical activities and a dose of intellectual science for a life enriching experience. A veteran crew supervised by a master-level captain, two expert naturalist guides and a concierge will be at the beck and call of guests. Social areas offer private moments on board with a library, boutique, computer station, lounge areas, dining room, bar, Jacuzzi, sun deck, recliners and wet bar. Guests aboard Origin will enjoy locally sourced, healthy, gourmet-style menus designed by top local chefs and creatively prepared by Ecoventura’s culinary school trained chefs. Some lunches will be served al fresco on deck. Passengers will have an open bar policy, including wine and local beer. The vessel will feature 10 deluxe staterooms all located on the main deck with panoramic windows and private bathroom. Each stateroom is 140 square feet, with two twin beds that convert to a king, two connecting cabins, two triples, fine linens, bathrobes, and satellite TV. Guests wishing to stay in shape will enjoy a fitness center with cardio equipment. The services of a professional masseuse can also be arranged at an additional charge on private charters only. Twice daily cabin cleanings are provided. Laundry service is also available. Guide lectures, cooking demonstrations and yoga will be part of the on-ship activities. Ecoventura’s Director of Sales & Marketing, Doris Welsh, explained that MV Origin rates reflecting a premium class vessel will be higher than those on its three existing first class vessels, the Eric, Flamingo and Letty. A per person double rate for an eight-day all-inclusive cruise will be $6,500. Rates include cabin accommodation, all meals and snacks, all beverages including open bar, Captain’s welcome and farewell party, guided shore excursions, services of a concierge, use of wet suits, snorkelling equipment, stand-up paddle boards and sea kayaks, and transfers in the islands between the airport and dock. There are two distinct itineraries on weekly (Sundays), year-round departures from the island of San Cristobal. The tours visit the most spectacular visitor sites of the archipelago; western/northern and central/southern. 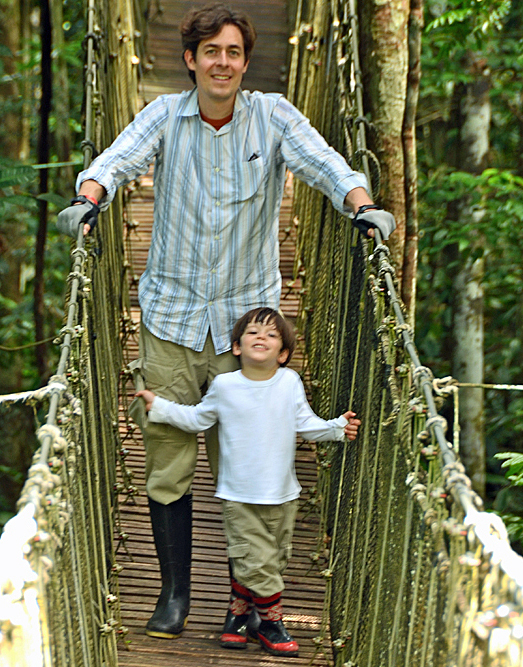 Ecoventura is a family-owned company based in Guayaquil, Ecuador, with sales offices in Quito and Miami. In operation since 1990, the cruise company transports 4,000+ passengers annually aboard its fleet of at present three identical, 20-passenger first-class motor yachts, Eric, Flamingo and Letty, and the 16-passenger luxury dive live-aboard the MV Galapagos Sky. Departures are every Sunday from San Cristobal offering two unique seven-night itineraries. Contact Ecoventura, at 800.633.7972, or e-mail info@galapagosnetwork.com. To access current rates, schedules and itineraries log on to www.ecoventura.com. Travel and tourism has been a boon to communities and cultures around the planet. For example, abandoned factories have been turned into art studios and hotels, providing a new base to support jobs and local economy instead of families having to migrate to find new sources of income. That means the culture and heritage stays intact, and the community has more of an incentive to preserve natural splendors as well. Over the past couple of decades, as technology and globalization, economic recessions have caused such dramatic impacts on communities, there has also been a quietly growing interest in people traveling to see places before they literally disappear, and to have “authentic” experiences, engaging with local people and the ecology. It came about first with the interest in soft adventure – the trips to sensitive ecologies of the Antarctic and the Galapagos. But with growing interest in visiting these places, there was also increasing threat to destroy those very ecologies. That sparked a greater sensitivity among the travel providers, themselves. Lars-Eric Lindblad, whose company, Lindblad Travel, was a pioneer in such expeditionary-style travel, voluntarily restricted the number of visitors who could travel, and set a standard for the rest of the industry that has also been taken up by government authorities. Increasingly, though, there are companies that not only bring travelers to destinations of particular ecological or cultural interest, but that also give back to those communities in order to sustain them. That’s why they use the monikers “Sustainable” and “Responsible”. ResponsibleTravel.com, established in 2001, is one of the first and leading online travel agents promoting responsible/ethical/eco/green travel. The company serves as a portal website, marketing a range of holidays on behalf of some 3,000 specialist tour operators, day trip providers and accommodation owners. With over 8,000 holidays worldwide, it claims to be “the world’s largest curated travel site for those seeking a more authentic, more immersive travel experience, as an alternative to the mainstream package tour. “For us, responsible tourism is tourism that makes places better places to live in, as well as better places to visit. In that order,,” said Sarah Bareham, marketing executive for the company, based in Brighton’s North Laine district, England. “This is not just about reducing energy consumption or recycling – we look at holidays which are beneficial both to local environments, but also crucially to local communities as well. We believe that there is no “one size fits all” solution to responsible tourism – to be successful efforts need to be relevant to the people and place in each specific destination and take into consideration local priorities – and these will be vastly different across the globe. “Each of the holidays on our site has been carefully screened to ensure it meets our criteria for responsible tourism – each needing to show compliance with environmental, social and economic criteria relevant to the destination in which it is based, with a focus on grassroots initiatives and local providers. The company has also been an activist for change in the tourism industry, raising important issues and bringing them to the attention of the wider tourism industry, consumers and media. “Last year we removed 42 orphanage volunteering trips from our site following extensive research and concerns, and working with key industry leaders and child protection organisations including Save the Children and Friends International developed a set of guidelines for volunteering trips in settings with vulnerable children, to put child protection back at the heart of these projects,” Bareham said. (More information on this can be found at: www.responsibletravel.com/holidays/whale-watching/travel-guide/say-no-to-orca-circuses). Responsibletravel.com is also the founder and organiser of the World Responsible Tourism Awards, now in its 11th year, and held annually at World Travel Market, London. In my mind, cycling trips are the ideal for “responsible, sustainable” travel – you are out and about without a window separating you, you are part of the local scene, you travel at a pace where you can really see things and can stop when you want, and you do not burn fossil fuels (beyond calories). Discover the back roads of East Africa on a ride through from the foothills of Mt Kilimanjaro to the sparkling seas and white sand beaches of the Indian Ocean, through tucked away villages, lush rainforests and wildlife-filled savannah plains. 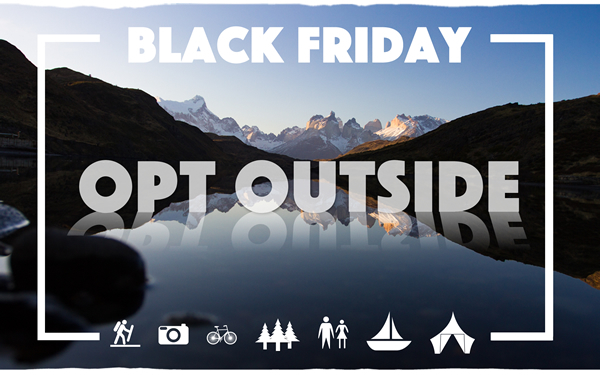 The 16 day journey cost starts from £3,302 per person excluding flights and local bike hire. Unleash your inner-Indiana Jones in Petra and pedal back in time in the deserts of Jordan. Ride along remote desert roads, camp out under the stars with the Bedouin in Wadi Rum and treat yourself to a soak in the salty waters of the Dead Sea. 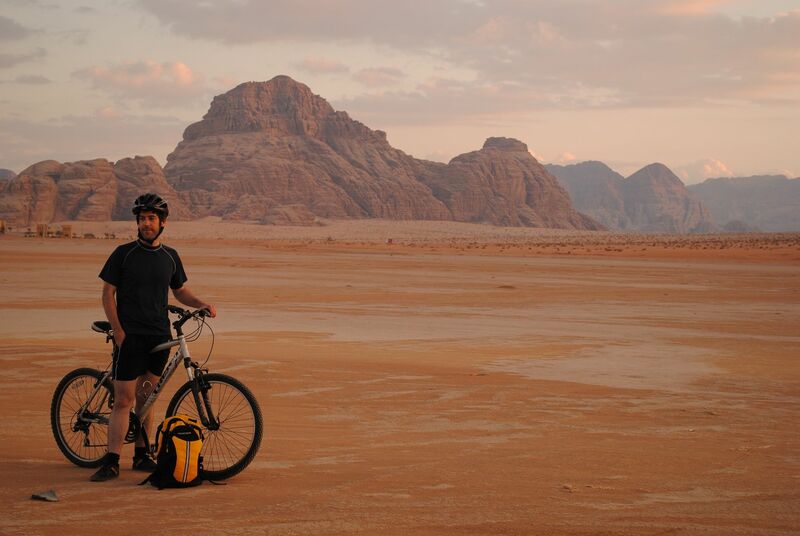 9 days of desert adventure costs from £1,399 per person including flight, but excluding local bike hire. A tour to quite literally take your breath away, across the top of the world. A 16 day two-wheeled trip across the Tibetan Plateau, taking in the iconic Potala Palace, Everest Base Camp and dramatic Himalayan passes costs from £2,718 per person excluding flights and visas. From the backwaters of Kerala and the lush Western Ghats, to the vast plains of Tamil Nadu and the beaches of the Bay of Bengal. This 2 week cross-country epic takes you through some of India’s most stunning natural and cultural landscapes from £1240 per person excluding flights. Just because a holiday is active doesn’t mean it can’t be indulgent. Your two wheels on this trip allow you to explore more vineyards, restaurants, olive groves, fishing ports and markets than you could on two feet. Spend 8 days cycling and sampling your way round a hidden Costa Brava from just £741 per person excluding flights. For more unique cycling experiences visit www.responsibletravel.com/holidays/cycling.